We have our highs and lows in garden harvests. Which, seems pretty normal for a two person operation approaching it's third year. I like to think that we are in a heavy experimental phase right now. 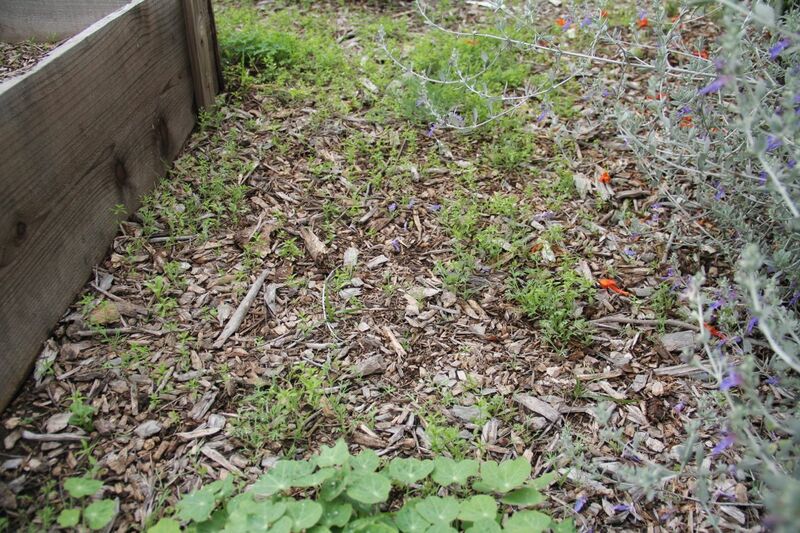 We're attempting to master our garden's ecosystems to build harmonious designs. Our plans must also incorporate our current lifestyle, which is busy, but we're not that busy in which we fail to stop and smell the flowers. 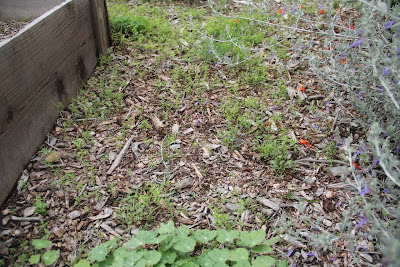 The best way to describe the current state of our garden would be, resilient. Lots of nourishment needs to occur before we even think of growing more seasonal crops due to the first experimental phase, the birth of the garden. We produced a lot and failed to offer our soil additional support. We aspire to reap larger consistent harvests but we'll take our time in attaining that goal by focusing on giving our soil some tender love and care. Pictured in the above collage are plants that have fared quite well with little to no human intervention (includes watering) in our gardens. 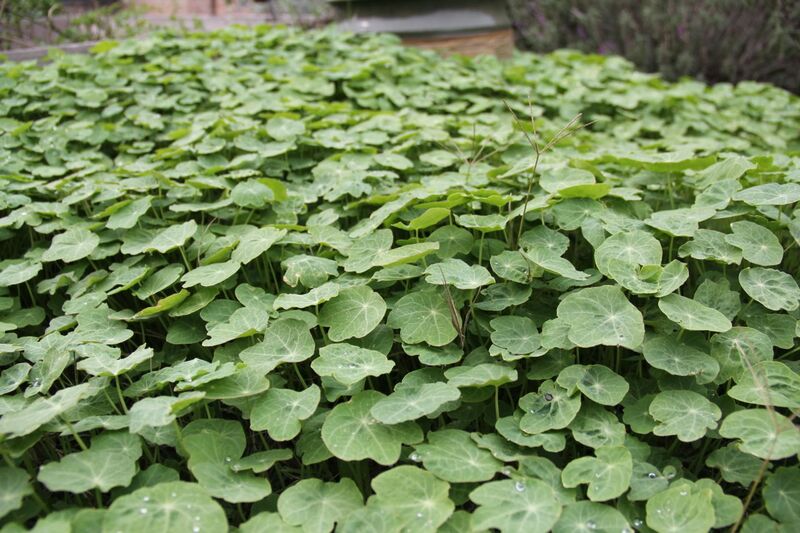 There's a nasturtium forest that's starting to take over the main edible garden, onions are nice and happy after the rain and even after some frozen topsoil, cinnamon basil is keeping the bees happy, hollyhock's foliage is flourishing, yarrow is showing new growth, Meyer lemons keep keepin' on, honeysuckle is blooming, diehard aloe is looking regal, strawberries are blooming, parsley recently had a growth spurt, and lots of wildflowers have reseeded and sprouted. 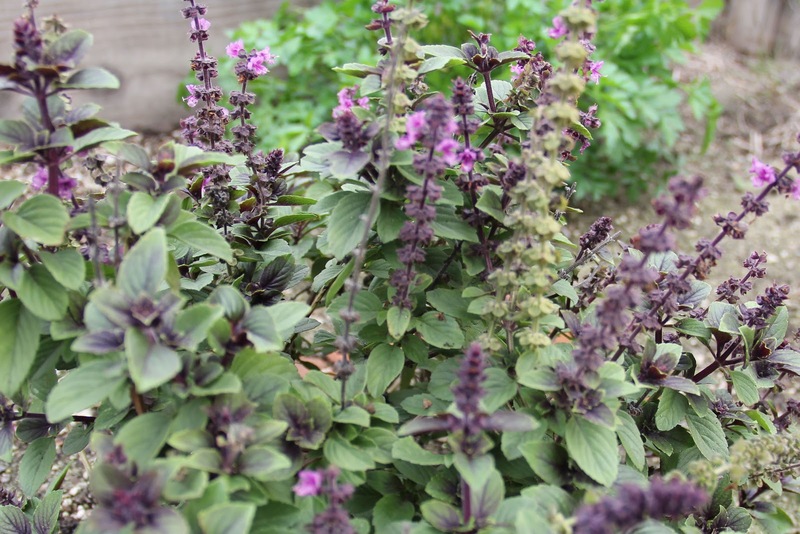 Gorgeous cinnamon basil from ardenwoods edibles. 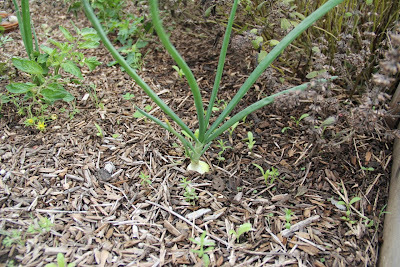 Onions surprise us in this garden. All those sprouts are Ca. native wildflowers. Nasturtiums are creeping in. 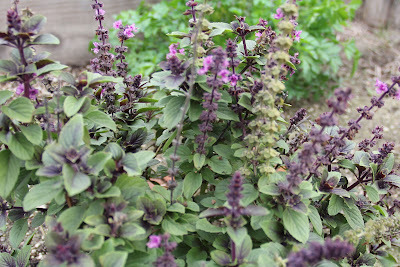 Other herbs such as cooking sage, oregano, and thyme are all doing great too! 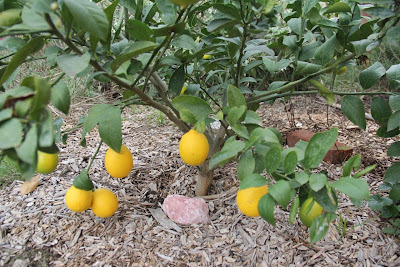 Stay tuned for a fruit tree and edible shrub update plus lots more exciting stories and projects. See you on the pathway. 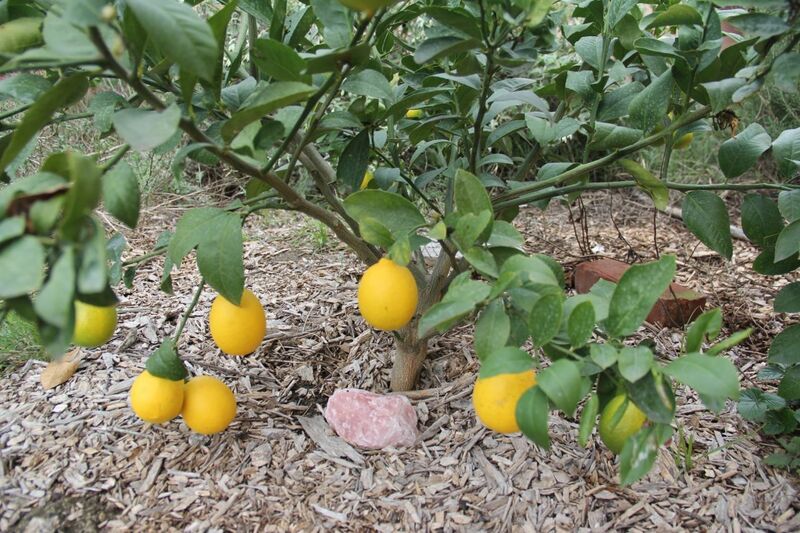 I think it is very cool that you have your lemon shrub growing in the ground. I water mine in containers daily in the greenhhouse here in Ohio so this just really strikes me as AWESOME! Thanks Bren! 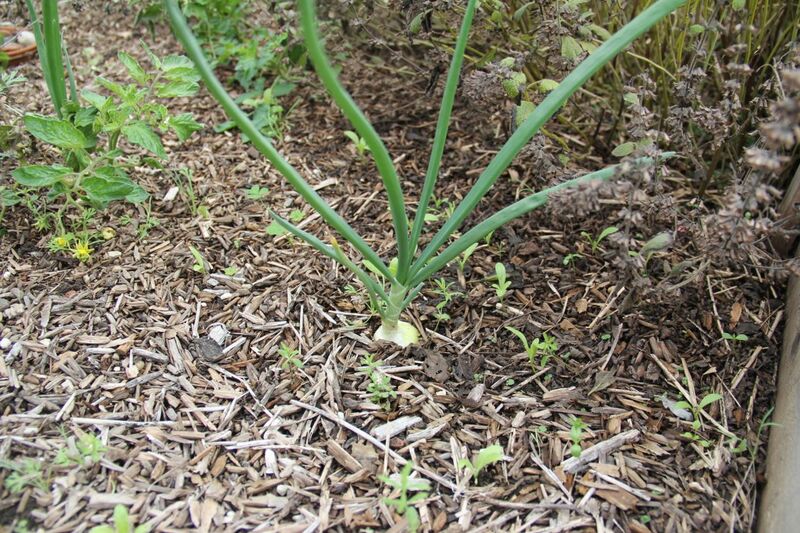 Planning on getting at least one more and thinking about planting it in the middle of one of our large raised beds.